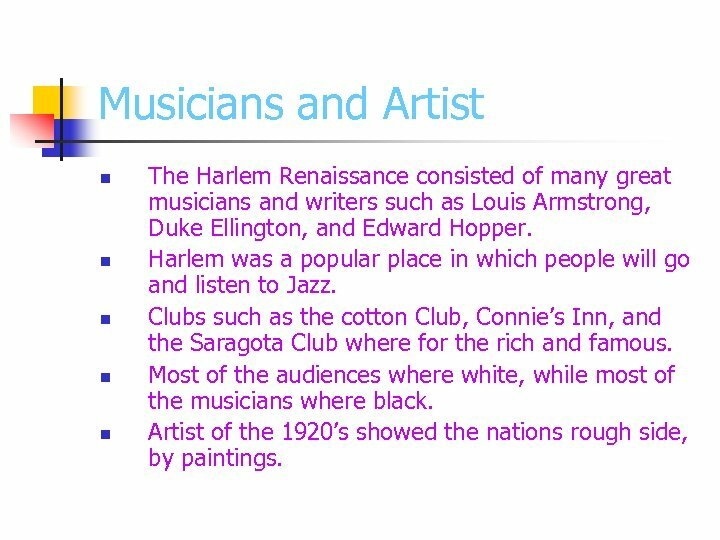 Musicians and Artist n n n The Harlem Renaissance consisted of many great musicians and writers such as Louis Armstrong, Duke Ellington, and Edward Hopper. 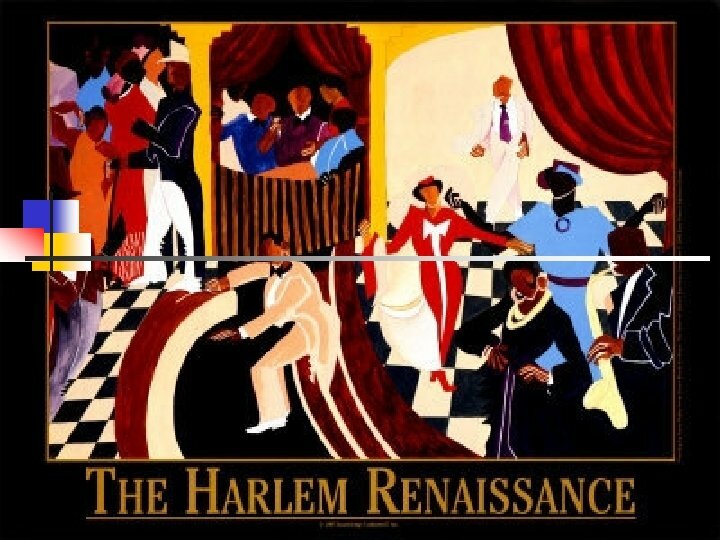 Harlem was a popular place in which people will go and listen to Jazz. 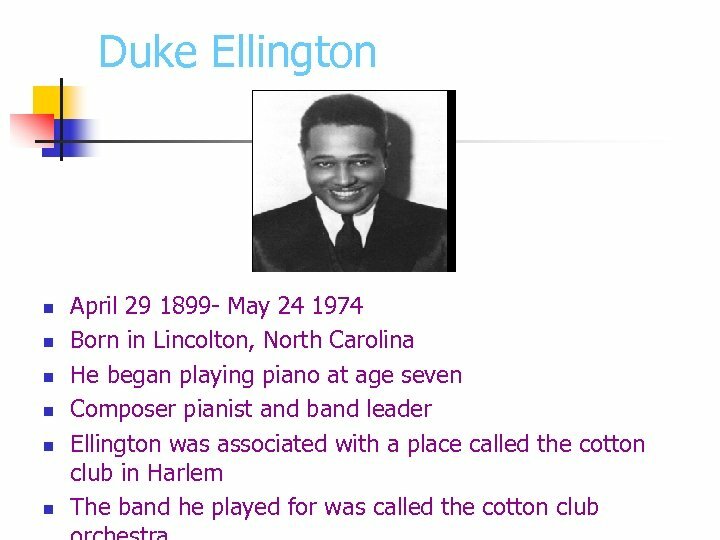 Clubs such as the cotton Club, Connie’s Inn, and the Saragota Club where for the rich and famous. 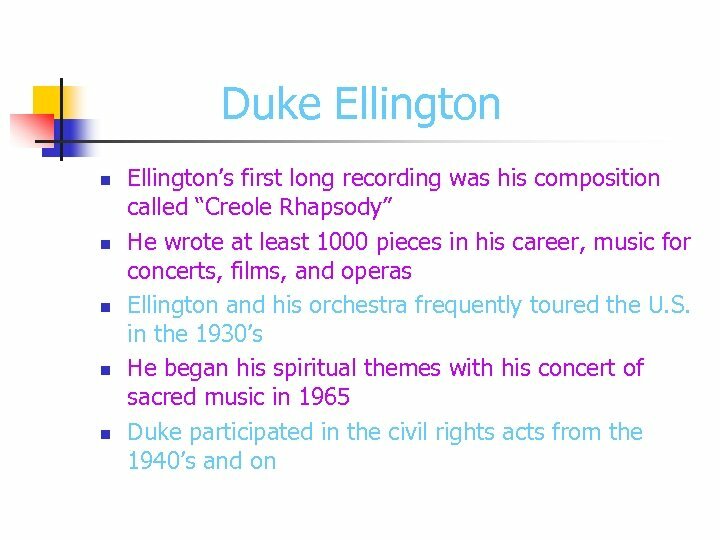 Most of the audiences where white, while most of the musicians where black. Artist of the 1920’s showed the nations rough side, by paintings. 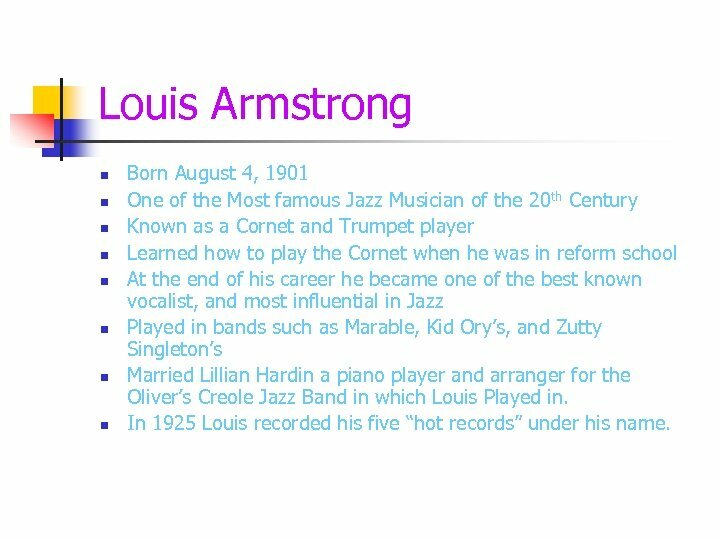 Louis Armstrong n n n n Born August 4, 1901 One of the Most famous Jazz Musician of the 20 th Century Known as a Cornet and Trumpet player Learned how to play the Cornet when he was in reform school At the end of his career he became one of the best known vocalist, and most influential in Jazz Played in bands such as Marable, Kid Ory’s, and Zutty Singleton’s Married Lillian Hardin a piano player and arranger for the Oliver’s Creole Jazz Band in which Louis Played in. In 1925 Louis recorded his five “hot records” under his name. Louis Armstrong n n n By 1929 Louis was becoming very famous by touring with the Hot chocolates and appearing in the Luis Russell orchestra. 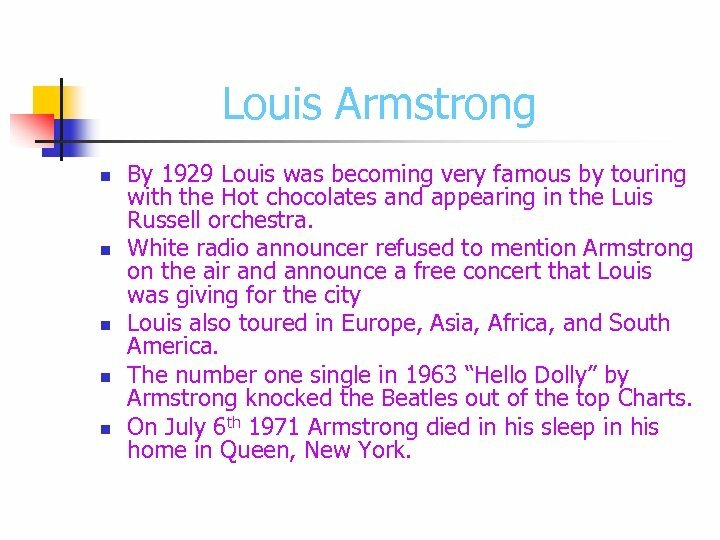 White radio announcer refused to mention Armstrong on the air and announce a free concert that Louis was giving for the city Louis also toured in Europe, Asia, Africa, and South America. The number one single in 1963 “Hello Dolly” by Armstrong knocked the Beatles out of the top Charts. On July 6 th 1971 Armstrong died in his sleep in his home in Queen, New York. 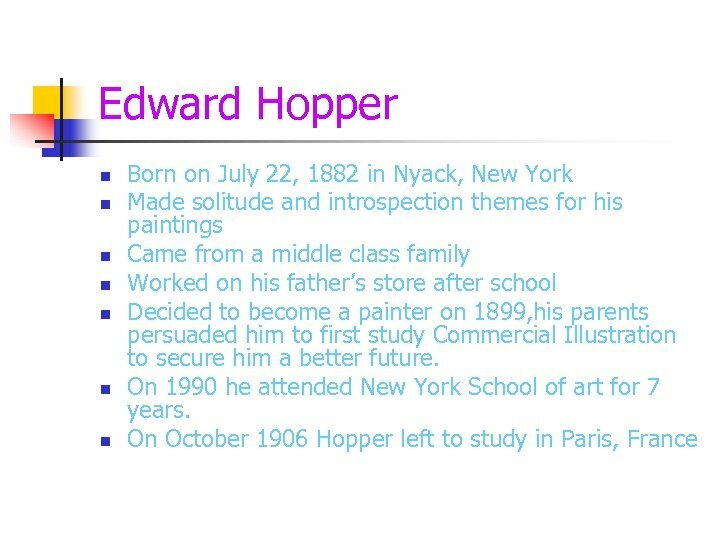 Edward Hopper n n n n 1913 Hopper had his first sale at the Armory Show in New York. 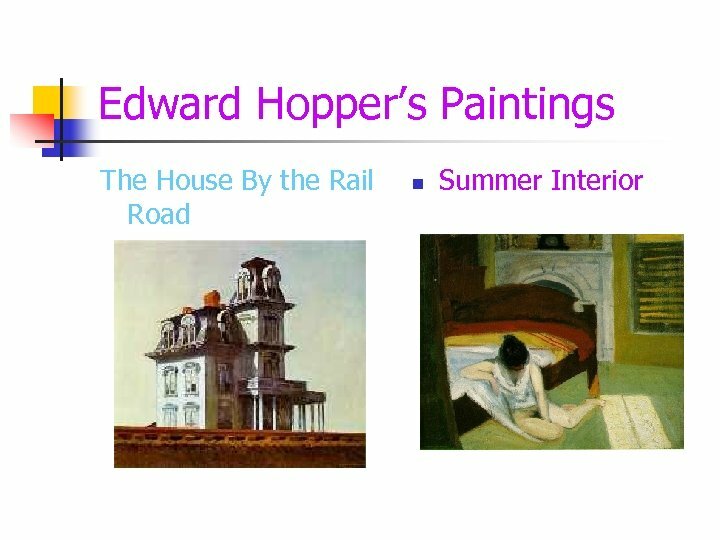 1920 he had his first solo exibition Jo Nivison Hopper’s wife was a model for his paintings His Compositions where realist and use of convert symbolism In 1925 Hopper realease his most mature picture “The House by the Railroad”. Which its theme was the loneliness of travel. 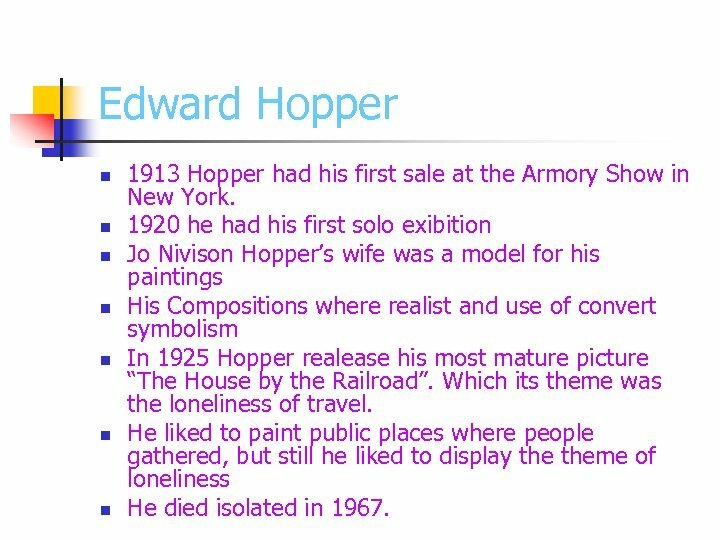 He liked to paint public places where people gathered, but still he liked to display theme of loneliness He died isolated in 1967.